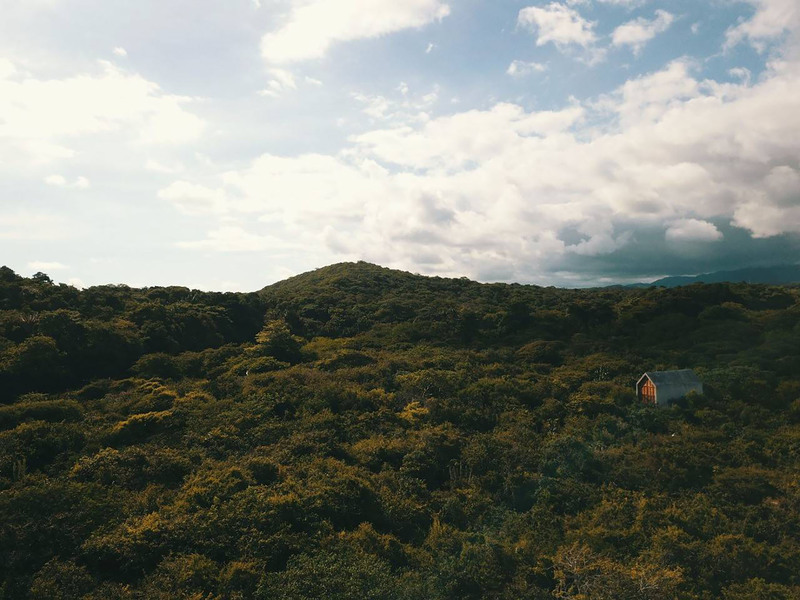 (via) Located just a walk away from the big wave surfer’s paradise of Puerto Escondido in Mexico is a tiny concrete and hardwood cabin that sits seemingly alone in a landscape of dense brush. Designed by twenty-something architect Aranza de Ariño, the open plan building is sparsely but efficiently appointed with a kitchen, bathroom, and bedroom accessed by a short flight of stairs. Appropriately dubbed ‘Casa Tiny’, the footprint of the property extends outdoors to a terrace and swimming pool on one side and an extension of the kitchen on the other. Oh, so dreamy! While it’s definitely tempting to travel here and rent it (available on Airbnb for $204 CAD a night), the purpose of this column is to lay out our housing fantasies, so we’d sooner steal it – all of it – and plant it on a large plot near the sands of Cox Bay or Chesterman Beach in Tofino. Easier to copy the design and build it in tofino. No stealing required.